Tochecha requires great integrity and impeccable communication skills. It also requires the use of an array of psychological capacities and virtues, including humility, empathy, mindfulness, courage, non-defensiveness, and integration. While highly evolved individuals welcome tochecha as an opportunity for self-improvement, most people defend against having their shortcomings pointed out to them, and they will employ a range of psychological defenses, including denial and projection, to protect themselves from the pain of reproof. We increase the likelihood that our words will be heard by paying attention to our timing, tone, and intention. Timing: The rabbis teach that just as it is a mitzvah to offer words of tochecha when our words are likely to be heard, it is a mitzvah to stay silent when our words will not be heard. (Yevamot 65) Before speaking, we need to be mindful of our own emotional state as well as that of the listener. If we are emotionally triggered or angry, or notice that the listener is in a state of agitation, it is better to wait for a more opportune time — one that is mutually agreed upon. Tone: A voice that is angry, disdainful, blaming, or judgmental can undermine our message. It is better to communicate tochecha with humility and empathy. Remembering that we are all flawed and that we all possess the capacity for wrongdoing is key. When possible, offer feedback and insight as an equally imperfect individual — no better or worse than anyone else. In Pirkei Avot (Chapter 2, Mishnah 5), we are instructed: “Do not judge your neighbors until you have stood in their place.” The Ba’al Shem Tov, the eighteenth-century founder of Hasidism (known as the BeShT), offers a novel, psychologically insightful interpretation of this Mishnah. He suggests that if we find ourselves judging others, it may be because we actually do stand in the exact same place! Their misdeeds bother us because they remind us of our own failings. Our judgments are often a sign that we are projecting our disavowed flaws onto others. The BeShT’s teaching admonishes us to fix ourselves before attempting to fix others and to give tochecha only after doing our own inner work of self-rectification. Intention:Tochecha is not simply a matter of venting; rather, it involves a conscious effort to heal a breach in a relationship or to help others to awaken to their spiritual and moral deficits. Tochecha is most effective when we make use of our psychological capacity for integration — the ability to see ourselves and others as whole beings with strengths and weaknesses, virtues and vices. With integration, we do not define people by their mistakes and flaws; rather, we point out specific criticisms at the same time that we remember the person’s essential goodness. When giving tochecha, it is helpful to express our loving concern, respect, and appreciation alongside any critique. Doing so reduces defensiveness and any sense that the criticism is an assault on the individual’s character. A short story about the Chofetz Chayim (the esteemed ethicist and rabbi, Israel Meir HaKohen Kagan, who lived from 1839 to 1933) illustrates a novel, non-shaming way to give tochecha: A student at the yeshiva in Radin was caught smoking on the Sabbath. When he was called into the Chofetz Chayim’s office, he anticipated being harshly rebuked. Instead, the old rabbi took the young man’s hands into his own and gazed into his eyes with loving concern and sorrow. A tear fell from the rabbi’s eyes, landing on the student’s hand as he uttered three words: “Shabbos, heilege (holy) Shabbos.” The young man was deeply distressed to have caused his holy teacher such sorrow. On the spot, he repented and never broke the Sabbath again. The rabbi’s tears, an expression of his love and concern, left an indelible mark on the young man’s soul. This story "The art of giving and receiving honest feedback or rebuke" was written by Estelle Frankel. 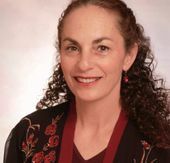 Estelle Frankel is a practicing psychotherapist, spiritual director, and Jewish educator. She is on the faculty of Lehrhaus Judaica and serves on the spiritual leadership team at Chochmat HaLev in Berkeley, Calif. Frankel is the author of Sacred Therapy: Jewish Spiritual Teachings on Emotional Healing and Inner Wholeness and TheWisdom of Not Knowing: Discovering a Life of Wonder by Embracing Uncertainty (forthcoming, 2017).